Are you locked out of your car, home, or business? LockTech24/7 offers 24/7 emergency lockout services in Allentown, Bethlehem, Easton, and the surrounding area. We are available 24 hours a day 7 days a week for any locksmith emergency needs. We provide 24/7 emergency locksmith services in the Lehigh Valley, PA. LockTech24/7 is available for you at any time, day or night. Whether you need an emergency locksmith service in Allentown, Bethlehem, or Easton PA, we can help. We specialize in all types of emergency locksmith services for automotive. residential, and commercial clients. Emergency situations happen to everybody, on one day or another, and when they do it can be very frustrating. 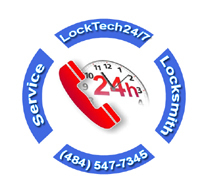 LockTech24/7 is only one phone call away, please don’t hesitate to call us. We are here to help you! Our highly skilled technician will be on his way to help you, and to put all your worries away. Our emergency services range from covering quick lockout assistance to broken lock repairs or replace. Alongside our standard locksmith services, we can also help during a police eviction. We are here for you, 24 hours a day, 7 days a week, offering fast emergency locksmith services. We recommend you to program our phone number to your cell-phone. So if any emergency situations occur, you will be able to call us and save your time and your money. Don’t worry we can help you; soon as you call LockTech24/7. 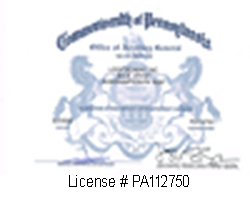 We are covering all Lehigh Valley PA, and we can open any vehicle, whether small or large, new or old. Whenever you need a new car key made, you might consider that many vehicles built after 1990 are equipped with the anti-theft system. As for today, and in most cases, a transponder computer chip is installed in the head of your car key. And when you insert the key into your ignition lock, the transmitter sends signals to the computer of the car. Whether you locked yourself out of your home or your business. Whether you lost your key or broke it inside the lock, you can trust that LockTech24/7 locksmith can do it all. Here, at LockTech24/7, we assist customers in house lockout situations. Don’t be hard on yourself, it happens to all of us, also here, at home, when we least expect it. Our Locksmiths knows what is important to our customers when it comes to emergency lockouts. Customers want fast and professional service, at a low price. Let us unlock your door for you when it comes to emergency situations because we believe that you want the best locksmith and the best service. Lockout services are the most popular services that a locksmith receives on a daily basis. Don’t be hard on yourself, it happens to all of us. LockTech24/7 Locksmiths know what is important when it comes to emergency lockouts; especially when your business is “locked out” of making money. We know that commercial customers want fast and efficient locksmith services that will get them back in business. Let us unlock your day to get you back in business as soon as we can, we offer 20 minutes to get you back in business. Worn locks and keys can cause the key to breaking inside the lock. LockTech24/7 can extract your key and make a new key to work in your lock, or provide you with a brand new lock and key. Has one of your lock stopped working properly? Don’t let a malfunction or broken lock ruin your day, or prevent you from getting in and out of your home or business as quickly as it should be. With that being said, for a serious lock problem, it is best to call LockTech24/7 Lock Services.